Our baked pine flooring has been heat treated to remove moisture and give it a lovely golden colour, which bears a very close resembalance to reclaimed pine flooring. This is a very stable floor and suitable for underfloor heating. We laid 75m of this flooring over a screeded wet ufh four years ago and it still looks amazing. It has blended in with the existing part of the house floor perfectly and has mellowed to a lovely golden colour.Definalty recommended. Many thanks Dave for the lovely comments on the Baked Pine Flooring. We have it laid in our showroom and many customers think that they are reclaimed boards. 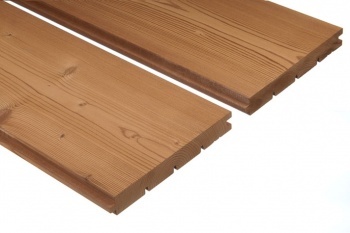 Given the lack of choice in pine flooring on the market, the Thermawood/Baked pine is an unique product.